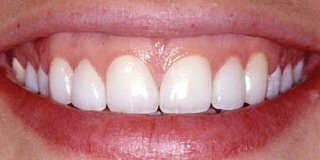 Porcelain veneers are a minimally invasive cosmetic dentistry option that can be used to transform the appearance of a smile. 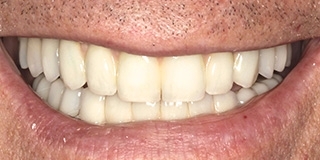 By creating an ideal façade over the front side of each affected tooth, porcelain veneers can conceal a wide range of perceived dental imperfections and even reshape the smile. At Schweitzer & Schweitzer, PC all of our cosmetic dentists are prosthodontists who have been extensively trained in every aspect of porcelain veneers, from advanced smile planning techniques to expert veneer placement for long-lasting, natural-looking results. 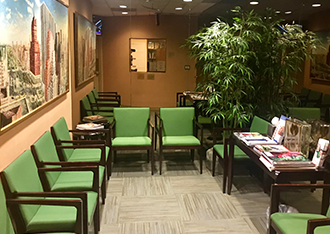 If you are interested in learning more about porcelain veneers, we invite you to examine the informative content we have provided below or contact our office to schedule an appointment. Whether you seek improvement in the appearance of one tooth, a series of teeth, or your entire smile, porcelain veneers may provide an effective esthetic solution. 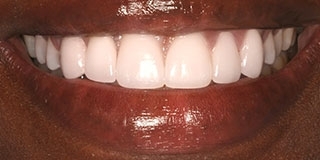 Dental veneers are very thin, highly customized porcelain laminates that are bonded to the front side of teeth to enhance the appearance of their color, shape, size, length, and/or alignment. Unlike porcelain crowns, which require the removal of a significant portion of the tooth to accommodate the restoration, porcelain veneers allow for the conservation of more healthy tooth material, helping to preserve natural tooth structure and strength. 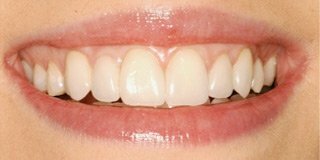 Despite being relatively thin, veneers are fabricated from durable, stain-resistant, all-ceramic porcelain materials, and they can potentially last for upwards of a decade with proper care. Furthermore, today’s dental ceramics look more natural and realistic than ever before, closely mimicking the natural coloration and visual properties of beautiful, healthy teeth. Porcelain veneers can be an ideal option for eliminating gaps between teeth, straightening the appearance of crooked teeth, masking stains and discoloration, concealing chips and cracks, and improving the shape and size of teeth. 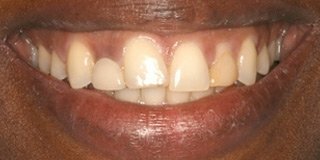 Good candidates for porcelain veneers must first have healthy teeth capable of supporting the restorations. 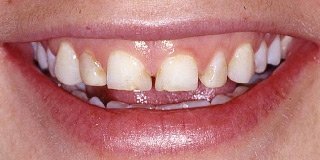 Patients with decay, serious damage, or weak tooth structure may be better candidates for cosmetic improvement with porcelain crowns, which can restore strength and health to an otherwise compromised tooth. A consultation with one of our experienced dentists is the first step in finding out if porcelain veneers are the right choice for enhancing the appearance of your smile. 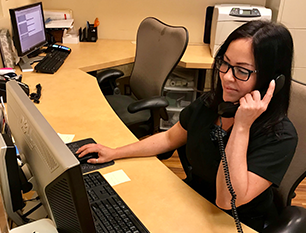 After a thorough dental examination and a discussion of your goals, your dentist can develop a customized treatment plan for achieving your desired outcome. The application of porcelain veneers is a virtually painless process that is typically completed within one visit once your custom restorations have been fabricated at our on-site, state-of-the-art dental lab. 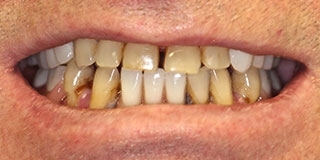 To begin the procedure, a thin layer of enamel is removed from the front side of each tooth that is being treated to accommodate the thickness of the porcelain veneers. 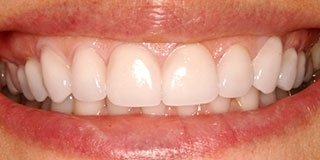 The veneers are then firmly cemented to each affected tooth to create a strong, seamless bond. Once bonded, some fine tuning and polishing can perfect the appearance of the veneers to create the most natural-looking results. The length of time for the procedure can vary depending on the number of veneers being placed as well as the degree of preparation required to ready the teeth for the veneers. The versatility and esthetics of porcelain veneers allow our dentists to accomplish stunning smile transformations that adhere to ideal standards of natural beauty and dental precision. 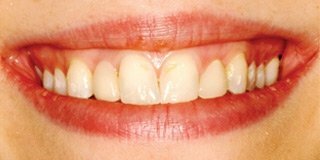 After veneers are applied, our patients are generally thrilled with their new smile and gain a renewed sense of self-confidence. As an added benefit, veneers can be cared for just like natural teeth, and no extra hygiene or maintenance (apart from regular brushing, flossing, and routine dental cleanings) is required. The remarkable, long-lasting results our patients have achieved with porcelain veneers are a testament to the expertise of our dentists and the exceptional quality of our dental lab. 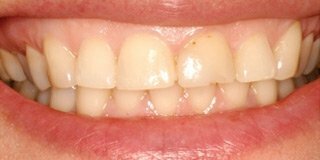 If you are considering veneers, we encourage you to explore before-and-after photographs of our patients’ porcelain veneers results to view examples of our dentists’ work. To find out if porcelain veneers are the right option for you, please contact our office today to schedule your consultation. 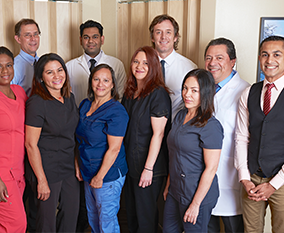 Together, you and your dentist will determine the best approach for improving the long-term health and appearance of your smile.